What a summer so far! 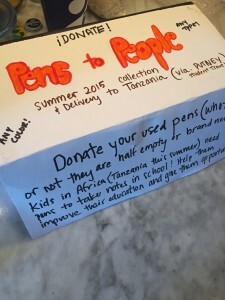 We here at Pens To People have been busy supporting pen drives, collecting a record amount of pens, and donating them to the groups we trust most. First, we’d like to thank Sarah Allen for organizing her high school’s pen drive. 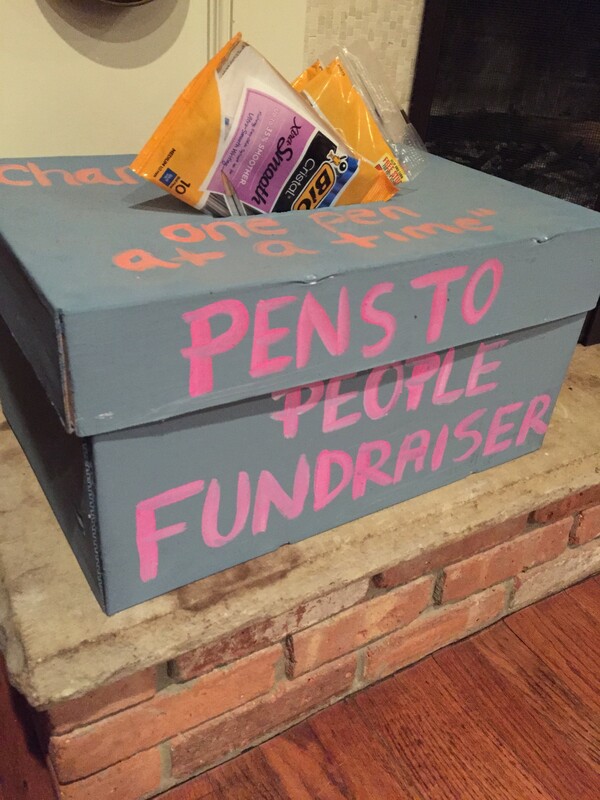 Sarah helped bring the 1,026 pens we donated to Rwanda last summer with Putney and saw firsthand how excited the children there were to receive pens, so she wanted to do more for them. Awesome work Sarah! 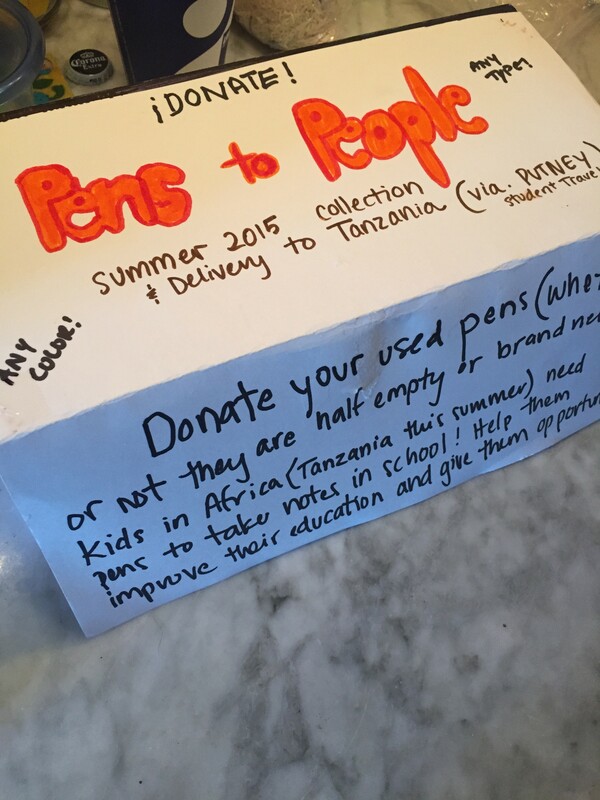 In addition, we’d like to thank Mendham High School in Mendham, NJ for their pen drive this year and specifically to the school club Peace Project for organizing. We’d also like to thank our Putney partners for accepting a 500 pen donation to be distributed on this year’s Tanzania trip! The group is currently in-country giving your donated pens to the aspiring students who need them most. We wish them safe travels and look forward to pictures following their return at the end of July. Stay tuned for more pen donation news this summer and keep spreading the word!